This Zohar is from New Zohar about the Portion of Ki Tavo. The ‘New Zohar’ was given to Zohar text that was found after the first edition that was made into three volumes. This part is from the study or Ruth. The Zohar first tells us that Rabbi Shimon and his son left the town and hid in a cave, a miracle happened and a Carob tree and a spring of water came out by the cave. Elijah the Prophet came to them twice a day to teach them the secrets of the Zohar. The students of Rabbi Shimon were discussing the curses in the Torah. They said that the first curses in the book of Leviticus were the aspect of the first Holy Temple, and the curses in Deuteronomy are the aspect of the second Holy Temple. The first set of curses included promises for a better future but no promises in the second set of curses. They were sad because their teacher, Rabbi Shimon, was far from them and he could have given them the answer to why it is so. One day, one of the students saw pigeons flying. He called one of them and asked her to deliver a letter to Rabbi Shimon. 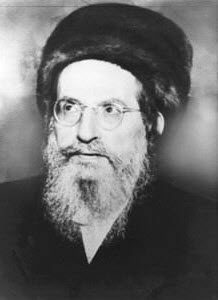 When the letter arrived to Rabbi Shimon he cried because he was far from his friends and students. Then Elijah came and saw him crying. He told Rabbi Shimon that he was on another mission but God sent him to wipe his tears and give him answer to the question. Elijah quotes the Holy One Bless be He and said that first curses are in 32 verses against the 32 paths of wisdom that are in the Torah. The later curses in Ki Tavo are in 53 verses against the number of portions in the Torah. In the first exile, after the first Holy Temple destroyed, the Israelites did not have big sins and could see the end of the exile. That is why the first curses included promises for a better future. During the exile after the destruction of the second Holy Temple, the Israelites went through all the paths of the Torah and their sins were big. Because of that God concealed their future and there are no written promises of redemption. Elijah went up with his wheel of fire and Rabbi Shimon left crying. Elijah came back with a second message from God, telling him that all the promises and redemption are concealed in those written curses. The Zohar explains that the curses are like a father’s screams on his child. This verse has a concealed blessing even though we see a contradiction. The Zohar explains that since God promised to never destroy Israel, they will be protected from harm.